I’m not going to lie, I made these cookies entirely out of curiousity. 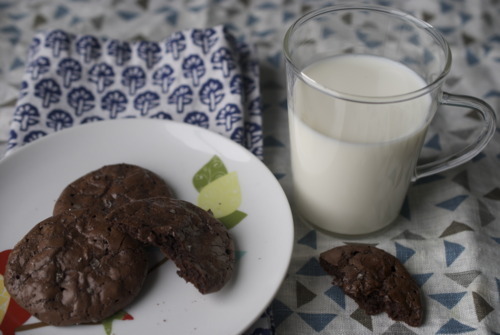 King Arthur Flour, which gives recipes that usually involve, you know, flour, had a picture of the best dark chocolate cookies and said that they were flourless. The strange thing though, is that there is no starch in them. And no fat. They are not “healthy” cookies with quinoa flour and coconut oil. These ingredients are just flat out missing from the equation. They are, by far the weirdest cookies I’ve ever made. 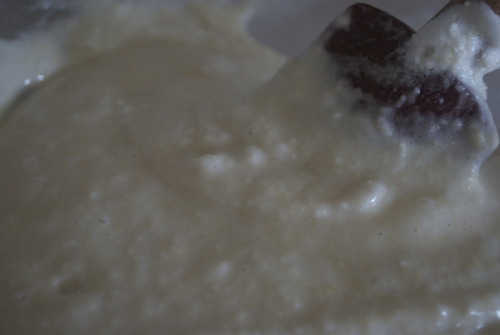 Egg whites, cocoa powder, icing sugar and vanilla. That’s about all folks. Fudgey isn’t quite the right word for them even though that’s how King Arthur descubes them, they get very crispy on the edges, almost they way you would excpect them to if there was corn starch in them, but the centers stay very soft. And, they don’t get stale. 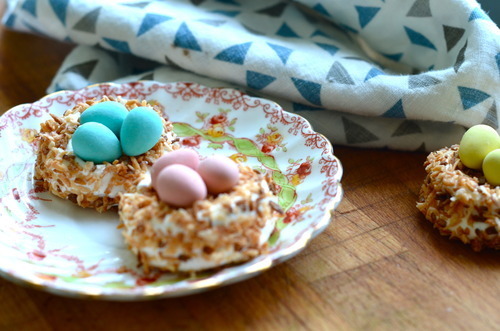 At least, I made them 3 days ago and the are still sitting on my counter on a plate without having been wrapped and they are still soft in the middle. This is no small miracle friends. 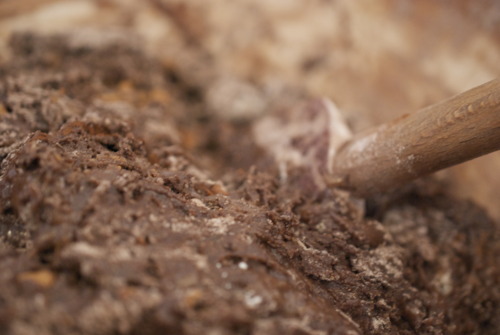 Spoon 1 tbsp sized blobs on to a piece of parchment or silpat. 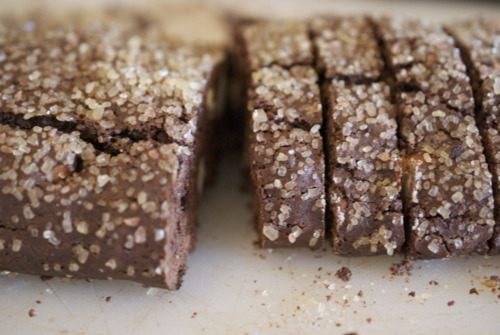 Sprinkle some fleur de sel on top. Bake for about 7-9 minutes, until the top is set but still a bit soft if you touch them. Let cool for a couple of minutes on the pan, and then transfer them to a cooling rack. Enjoy! 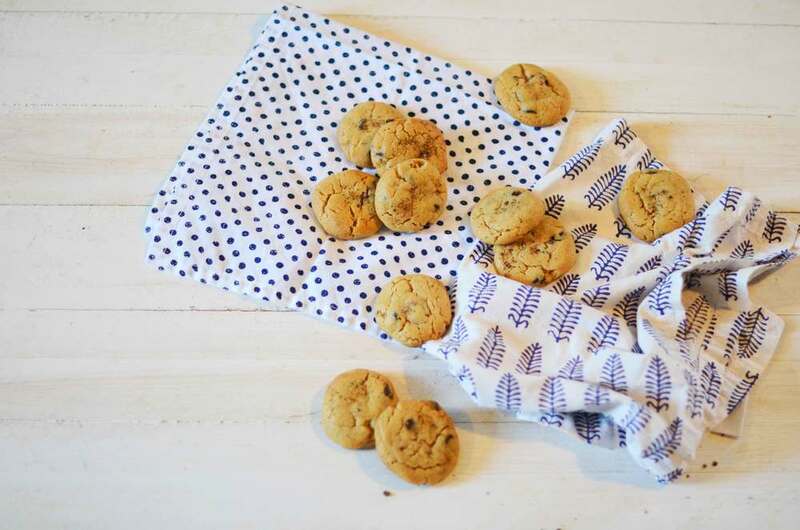 I make a slight variation of these cookies at my work, and one of my very favourite things about it is that one of my very favourite people that I work with, loves them. 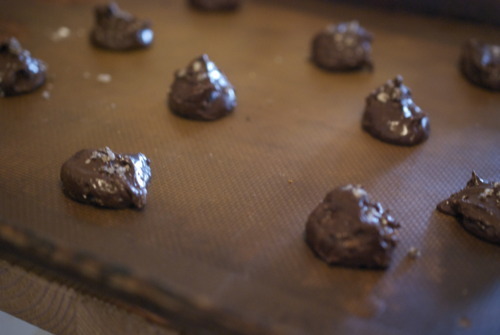 Like, truly loves them and always walks by the oven when they’re in and breaths in the chocolatey smell and tells me how good she thinks they are. And then if there are any left over she sort of squeeks with excitement because she gets to eat one for breakfast. Which, if I’m being totally honest is what I do too, they are seriously good cookies, if not the healthiest of breakfasts. But it’s very gratifying at 7am to have someone that excited about what you do for a living. But I supposed that’s why I started baking in the first place. It makes people happy, way before they normally are in a day. This is not the first place I’ve made these cookies at, and in fact it’s totally not my recipe. But if the fine people at the Tartine Bakery know anything, it’s how to make a good cookie, and they really do that here. 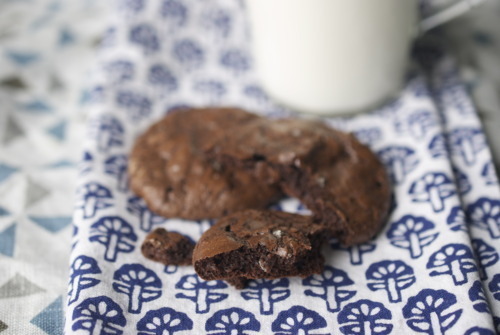 In the note before the recipe in the cookbook she notes that the amount of chocolate might look like a typo, but it’s not, it just really puts these cookies over the edge into heaven. 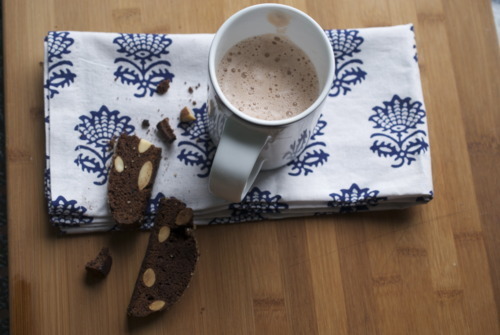 Line a baking tray with a silpat, parchment or butter, depending on what you have handy! Over a Double Boiler, or a bowl ontop of a pot of simmering (but not boiling!) water melt 8oz of chocolate. Meanwhile cream together your butter and sugar. 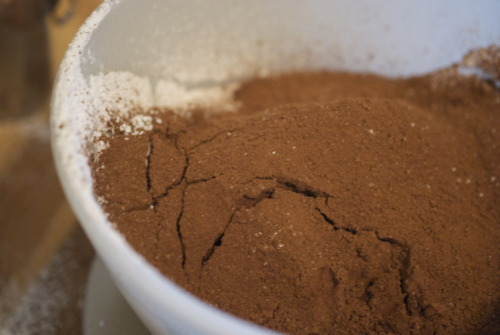 Add in your cocoa powder, your vanilla and your milk. 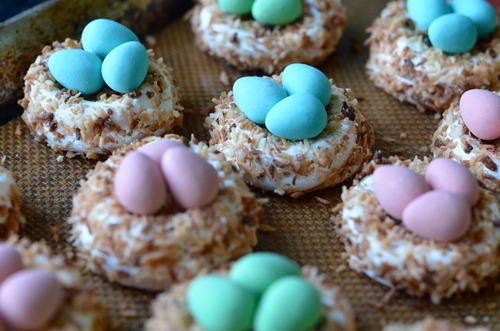 Mix in your eggs, but barely, you don’t want to over mix these or they will be cakey instead of chewey. 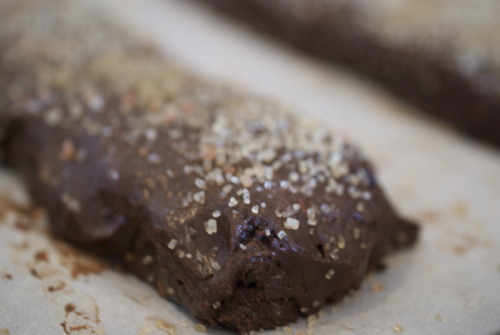 Add in the flour and baking powder and remaining chocolate until just combined. 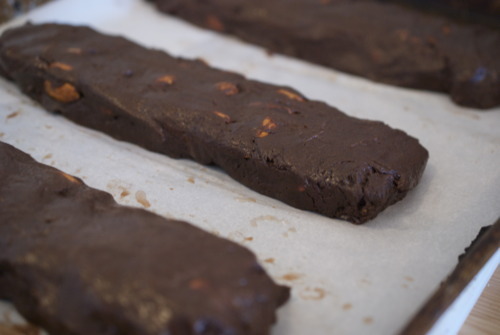 Scoop out onto your baking tray. 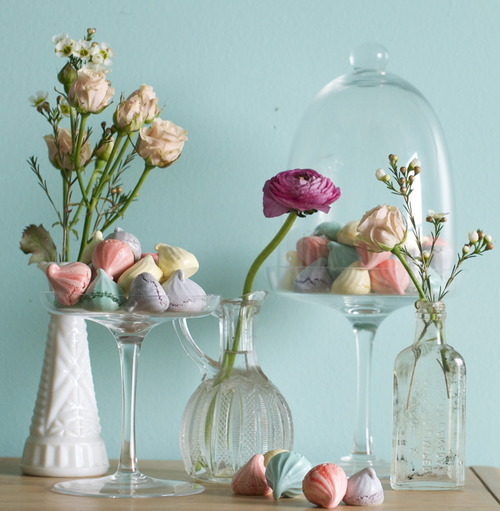 Wet your hands and turn the little lumps into balls and then squish them into disks. It will be hard to do this with your hands dry. 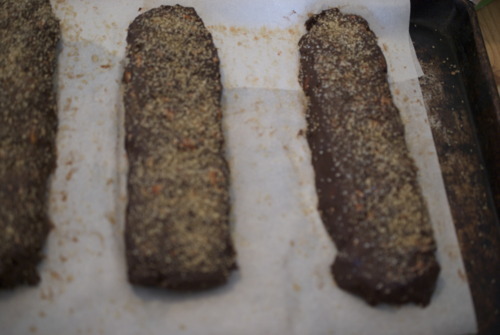 Bake for about 7-11 minutes depending on the size, but err on the side of undercooked. A few years back my sister, a few friends and I went on a croissant-athon. Basically we looked up all the places in Toronto for the best croissants and biked around the city trying one at each place (we did split them, or else we wouldn’t have been able to keep riding!) and my meticulous sister took notes. My main criteria is what I call the crunch-to-gush factor. This is not a technical term. But it is important. 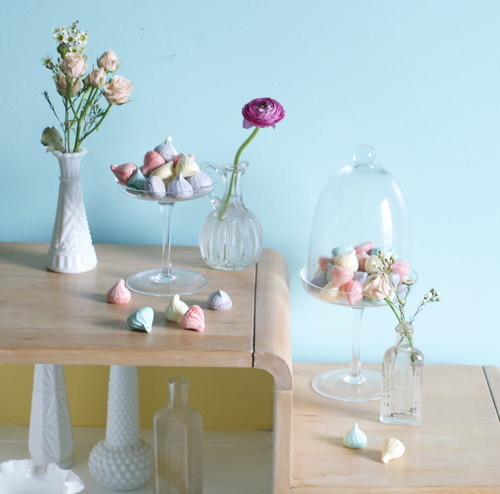 It’s the contrast from perfect crisp exterior to meltingly tender interior. It’s something the french do very well. In creme caramel? Check. 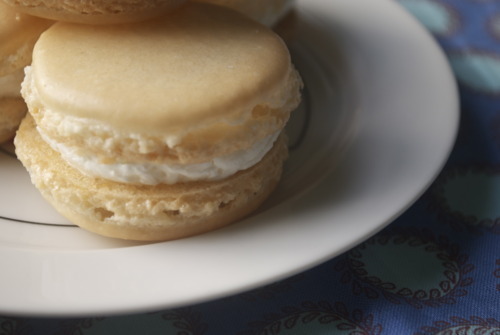 Parisian macarons? Check. 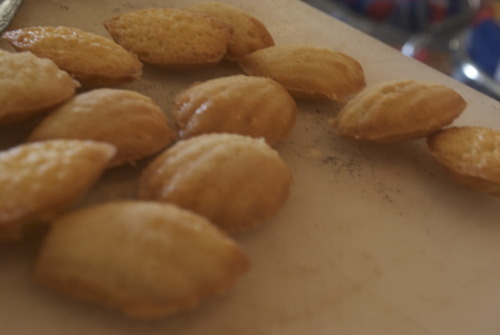 Madeleines? Check Check. 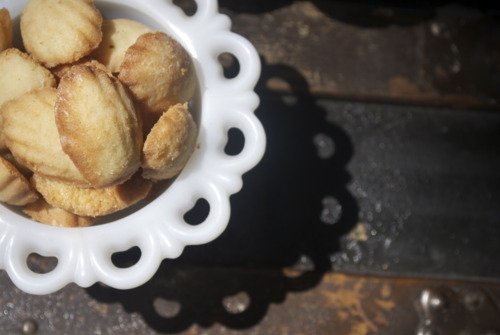 Madeleines are my new obsession. 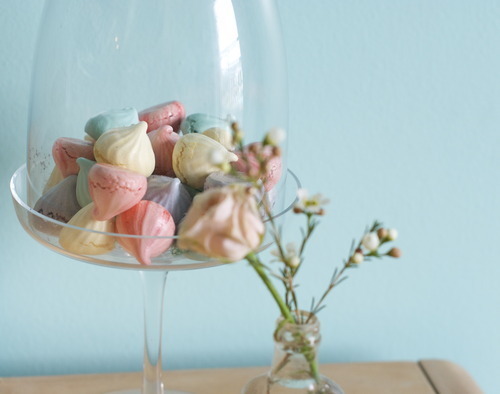 I decided I wanted to make them for the baby shower I threw last week and so, because I was putting so much work in (aka was having so much fun planning it!) I decided to give myself a gift and buy a madeline pan. And then lie to my boyfriend about when I bought it because he’s threatening to leave because me if I fill our apartment with more kitchen gadgets. Man madeleines are good! And their good because of the crunch-to-gush factor. 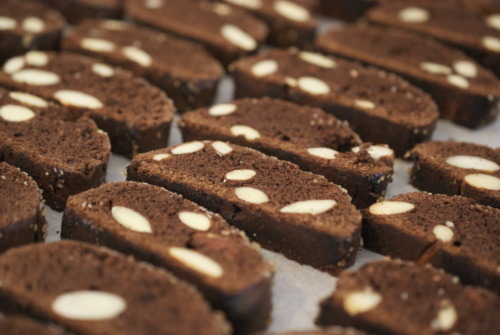 The perfect browned edges that lead the way into the most moist vanilla scented cakey center. It’s danm near perfect. 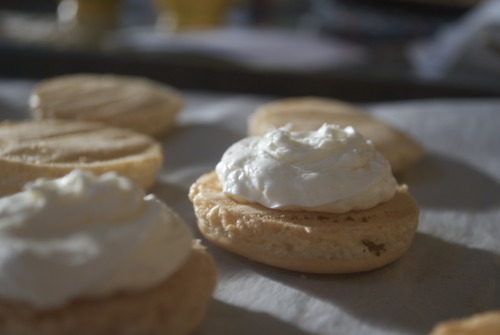 And very easy if you have a standing mixer, and of course a fancy madeline pan. 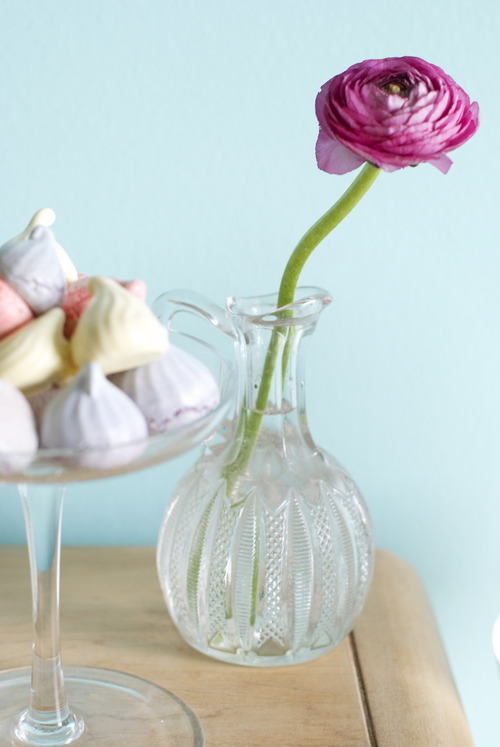 I bet you could make these in a mini cupcake holder to, if your really jonesing for them, but there’s just something so wonderful about the little scalloped edges. Brown the butter: melt it on a low heat until it gets frothy on top, and the milk solids get beautifully brown and it smells like hazelnuts, be careful not to burn it! 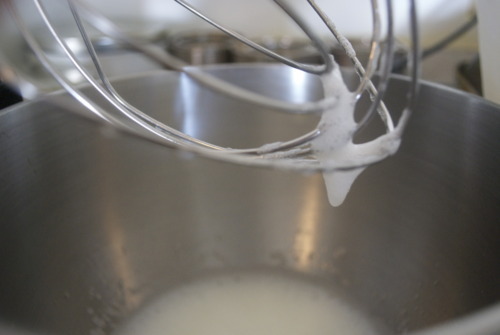 In the bowl of your standing mixer beat the eggs on high speed until light and fluffy. 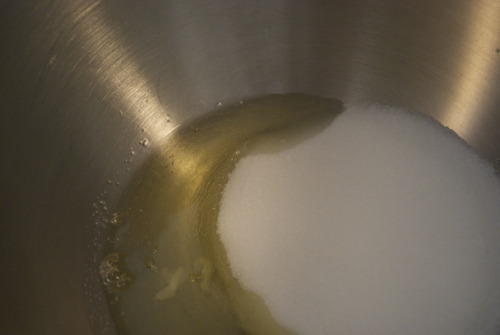 Then slowly add in the sugar tablespoon by tablespoon while keeping mixer on high speed. 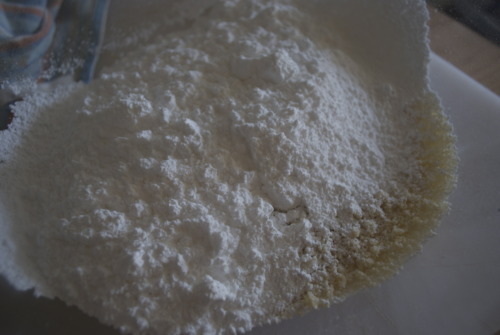 Now carefully fold in the flour, salt, and lemon zest, by hand. 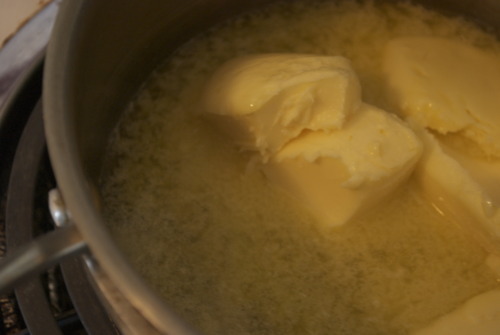 Then fold in the vanilla and butter, being very careful not to over mix. 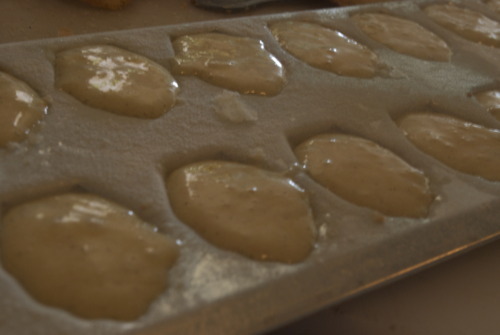 Then carefully pipe the prepared molds 3/4 full of batter. Bake for about 8 minutes or until beautifully golden brown. Most recipes say to pop them out right away but I found waiting a few minutes made them come out easier! 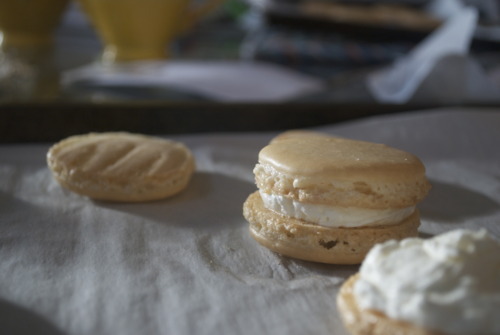 I have made macarons many times before. I’ve made them with chocolate, with raspberries, with caramel. 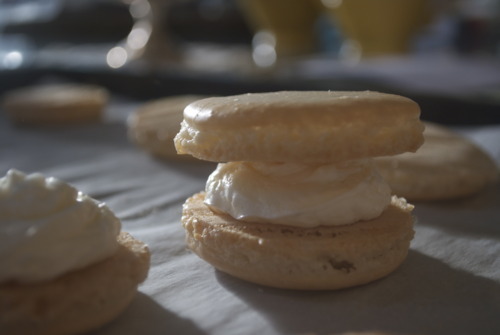 I’ve made them at work, at home and even in a classroom in Paris, and every time I’ve made them, I’ve done them the Pierre Herme way, which is much more complicated, because I’ve eaten macarons at Pierre Herme and that man knows a thing about macarons. Seriously. 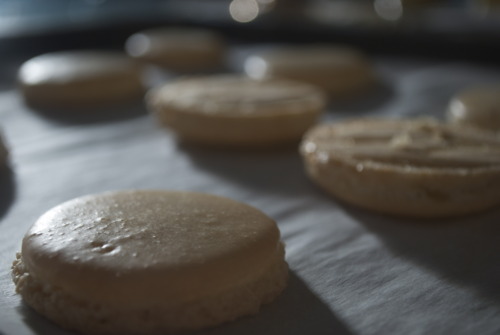 But here’s the thing of it, I’ve made all these macarons in all these places, to great success, except in my own home. They never work. Sometimes I blame myself, but mostly I blame my oven and the ridiculous rain in Vancouver, but I thought today that maybe I would try blaming the recipe and try another one. I have never thought of myself as practical so this seemed like a totally logical solution. BUT bam. Miracles do happen, and they worked. 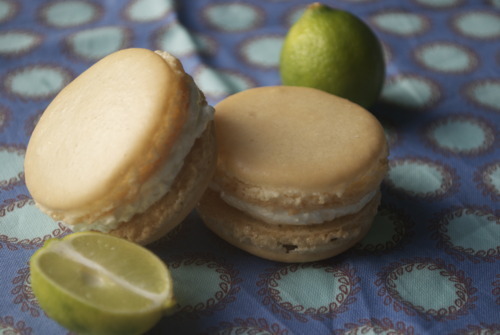 Maybe I was feeling the Cinco de Mayo feeling but I made them coconut and lime macarons, and they were darn good. I found fresh grated coconut at my Chinese grocer which gave them that really fresh coconut taste but these would also be lovely with dried coconut I reckon. 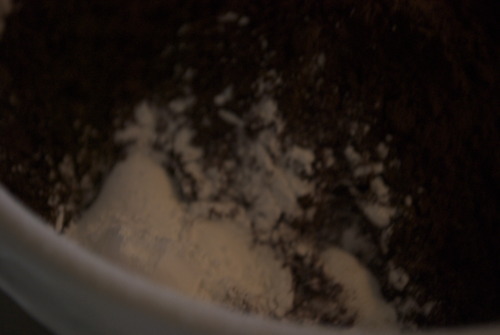 Sift together the almonds and the icing sugar into a bowl. 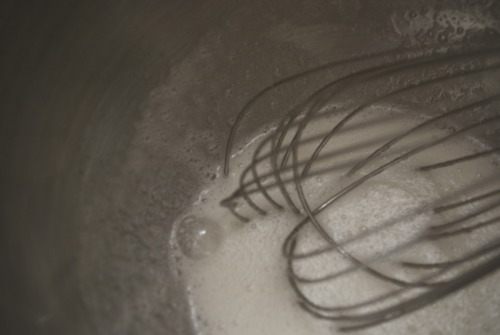 In your standing mixer fitted with the whisk attachment whisk the egg whites until frothy. 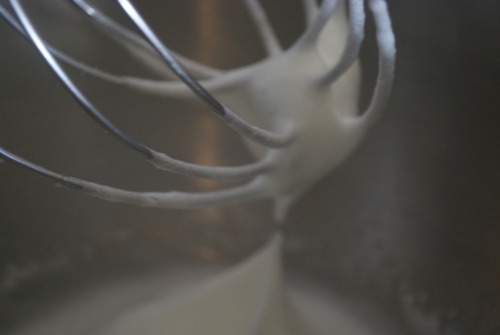 Slowly add in the sugar while whisking and then let run on high until stiff peaks form. 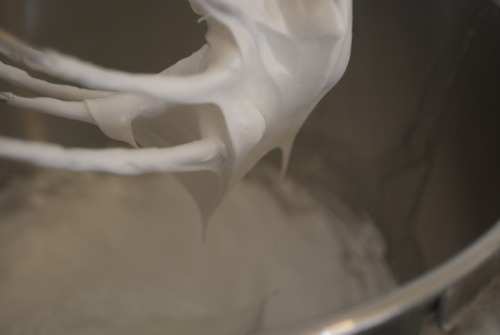 Carefully fold the egg whites into the almond mixture. 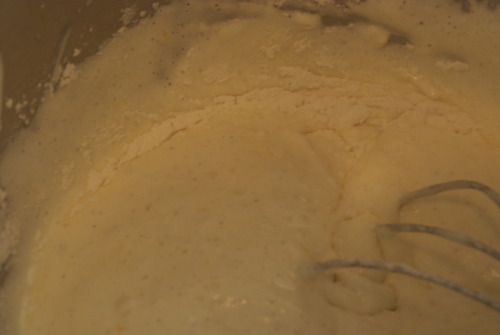 This is really the only tricky part because you want to mix it until the batter is soft enough to spread out a bit when you stop stirring it. 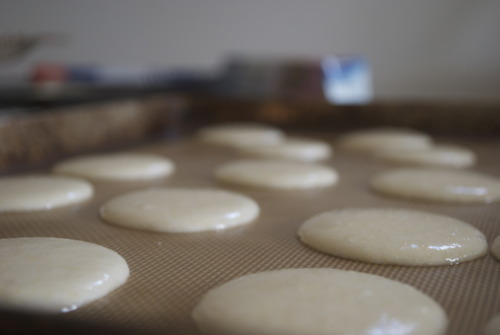 Put mix into a piping bag and pipe into 1 inch circles and spread about 1 inch apart, they will spread out a bit as they bake. 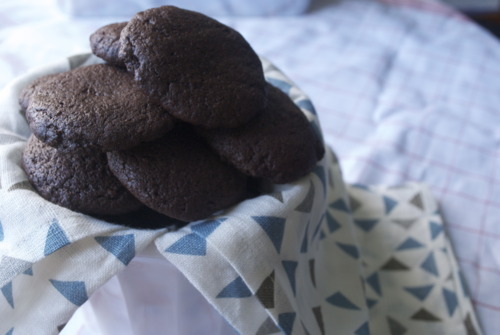 Let them sit at room temperature for at least 20 minutes or until a soft filmy skin has formed on the top the cookies. 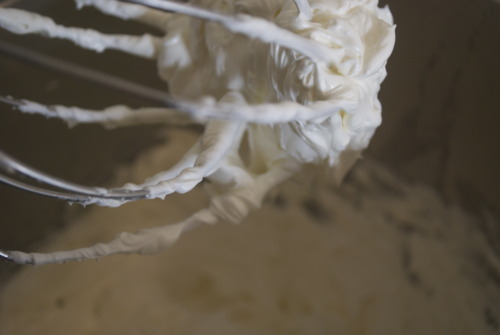 While the cookies are cooling make the coconut buttercream. Get a small pot of water on the stove with 2 inches of water in it. 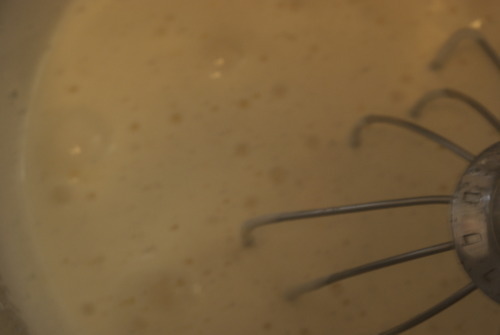 Place the bowl over the pot and whisk the egg mixture into it is hot to the touch. 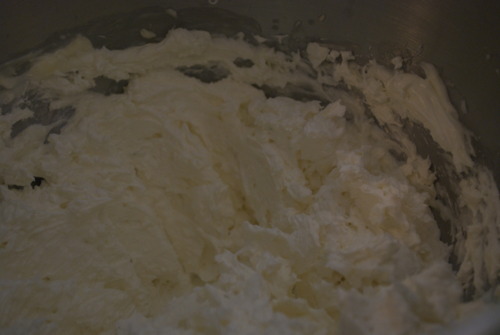 Slowly add in the butter, tablespoon by tablespoon until it’s all incorporated. Add in the coconut and the lime zest. Place the top cookie on top. Gently pick up the cookie and press both sides together, again gently. If you have the patience, chill them overnight in the fridge and then bring back to room temperature the next morning, for the very best texture. But of course, you can eat one now. They look too good not to don’t they?